This week sees us playing two newly released early access games, and you know what, they’re pretty good! What would you if you mixed Skyrim with Harry Potter and made it multiplayer? Citadel: Forged With Fire, that’s what! Citadel released on steam last week and I had no knowledge of it prior to that, but I noticed a few people on YouTube doing some videos on it and checked them out. I was intrigued and decided to give it a go and I’m glad that I did because, whilst it’s pretty rough around the edges, there’s still quite a bit of fun to be had in the game. You can choose between playing on a PVP server or PVE, I’ve opted for PVE to start with mainly because I wanted to get used to actually playing the game before I had to start dealing with others destroying my base. When you start everyone spawns on the South edge of the map and you have a few locations to pick from, from there you’re basically on your own. There isn’t much in the way of tutorials and without quests you can just forge your own destiny, so to speak. 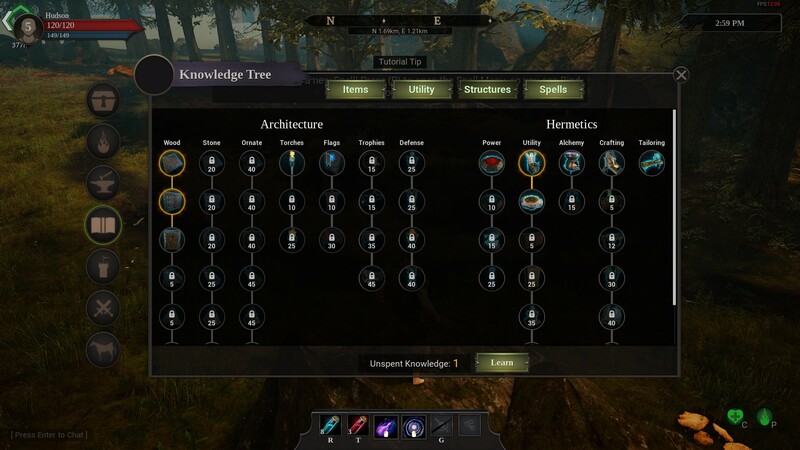 You’ll quickly hit level two after a bit of foraging and this is where you can choose your first weapons and spells. I decided on going with the wand because I’ve never used on in a game before, you also have melee, staff and gauntlets. Honestly, until you hit about level 5 it’s a little boring, as you’re kind of too weak to really venture off and take on bad dudes, but you also won’t have unlocked much in the way of base building. But once you a lot more opens up to you. It doesn’t take too long to level up at first as basically anything you do gives you XP. I’ve been playing for around 5 hours and have started making myself a base. It looks a bit pants, but I just wanted to get used to building and unlock stuff. I’ve yet to unlock my broom stick which is a good way of getting around the map faster. Once you get to higher levels you can start to take on bigger enemies and eventually tame them, kind of like ARK. As I said, it is a little rough around the edges – the latest update seems to have killed my FPS a bit, but there is still some good stuff there. There’s a nice variety of enemies, progressions feels quite rewarding, if maybe a little grindy at times, base building is good, I can see myself spending a fair bit of time on it, especially with the addition of multiplayer and being able to create Houses for my friends to join so we can work together. Eventually I will switch to a PVP server to see what that’s like as I do enjoy a bit of PVP action from time to time. 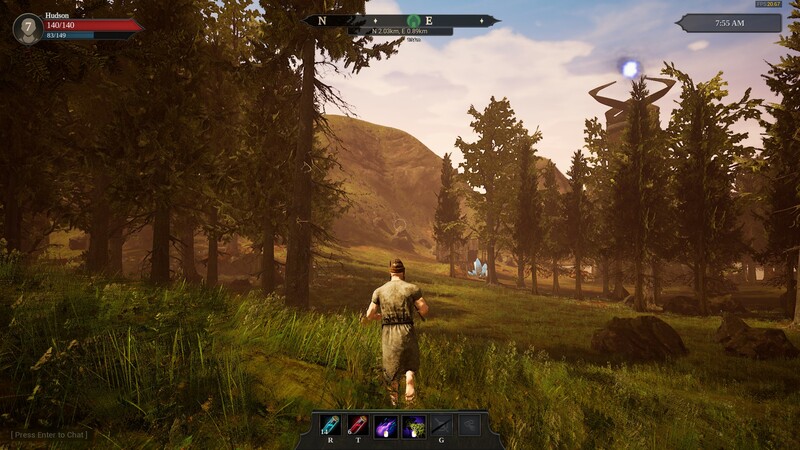 Another new game that has recently hit steam is Next Day. 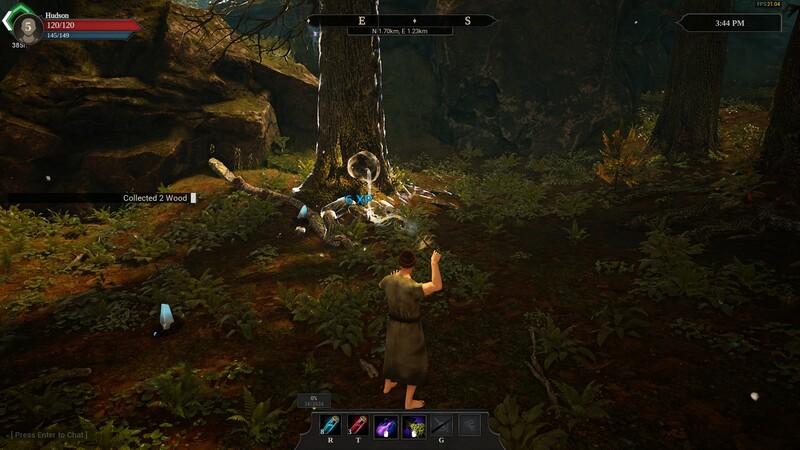 It’s a survival game – yes another one, although I feel like this one is trying to do things a little differently. 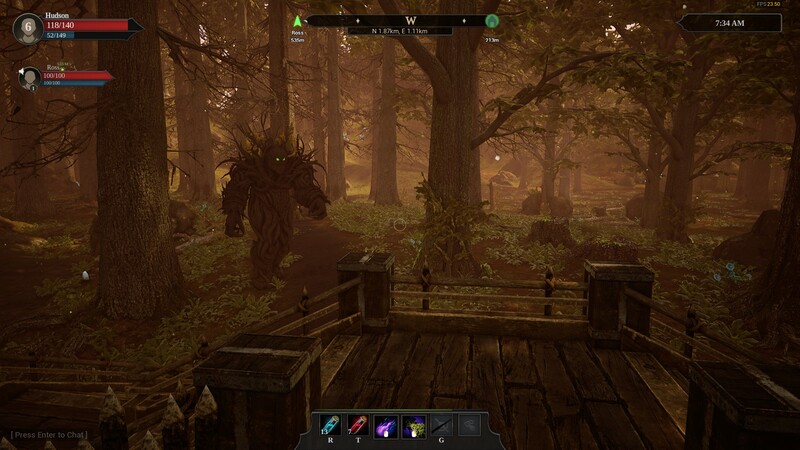 Firslty you can play on PVE or PVP servers, there is also a quest system, so it’s not purely just wondering around gathering things and killing people. It also has a clan system, where after the first few missions are done you can choose to align yourself with either Civilians, Looters or Neutral. Each faction has their own safe zones you can visit with vendors to buy and trade with. If you kill people from your faction you lose reputation and eventually become and traitor and be out on your own. It’s a nice little twist on the usual survival and so far I’m really enjoying it. I’ve started doing a play through on my channel if you wanted to check it out. So, a week later and I’m still completely addicted to Stardew Valley. I’m genuinely going to need help to get over this addiction. From my last update, I’ve now acquired the loom, oil maker and seed maker. This is game changing stuff. I currently own one pig and one sheep, so i’m not feeling the full financial benefits from the oil maker and loom just yet, but the truffle oil and cloth that is made from my current flock is a nice boost to my daily income. And the the seed maker is going to make me rich beyond my wildest dreams. Probably… I’ve used my one ancient seed that I’d got from the museum in the greenhouse to ensure it wouldn’t die or get attacked by crows. Once it harvested its first fruit, I turned it into seeds. I’m now on my way to growing ancient fruit farm in the greenhouse which will then be turned to wine for a very profitable return once it fir-mates. And lastly I’ve added 10 lightning rods at the bottom corner of my farm in preparation for the autumn storms to bottle up the electricity that the lightning provides. I am still absolutely loving this game, and cannot get enough of it. My wife is still very understanding, but she has raised questions about if I love the game more than her as of late.